Email-first startups are still a relatively rare breed, but Sunrise, Timehop and Product Hunt are all notable examples of services that started off sending out useful emails to users, only later expanding into an app or website. 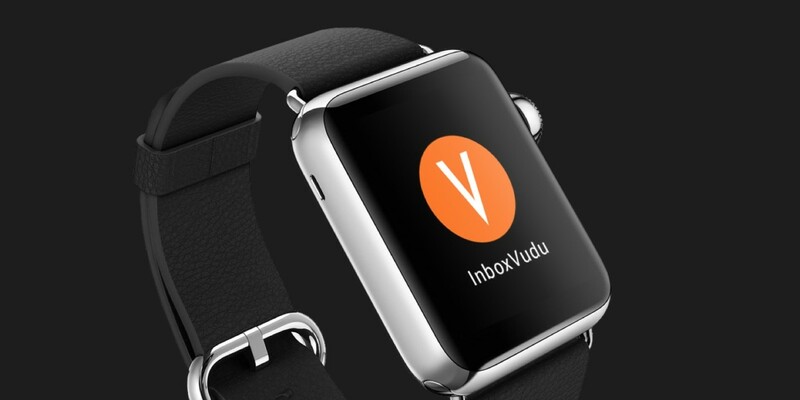 InboxVudu now joins the list, with the added twist that it’s an email-first startup focused on email. After beginning with a daily email picking out to-do list action points from your inbox, it first expanded with a Chrome extension and has now launched an iOS and Apple Watch app. The iOS offering has a ‘Highlights’ tab that picks out the emails it thinks contain requests you need to act on: “Please email me the presentation;” “What do you think?” etc. A ‘Follow Ups’ tab, meanwhile lists all the emails you’ve sent asking people to do things, that haven’t received responses yet. The now almost mandatory swipe gesture allows you to delete emails or mark them as done. Crucially, this doesn’t remove them from your inbox – just from InboxVudu – think of it as a to-do list sitting on top of your email. The Apple Watch app, meanwhile, only notifies you of what it assesses to be your most important incoming emails. For example, literally just as I was typing this sentence, my watch buzzed to let me know that a startup founder wanted to meet me in London on Thursday. On the Apple Watch, you can respond to an email with a canned phrase or dictated reply, straight from your wrist. The iPhone app, however, takes you to Apple’s Mail app to reply. Which is fine unless you don’t use that app for your email – you just end up at an empty inbox. Bit of a UX fail there, although I can see why it may have made sense in theory. A nice bonus that Slack users will appreciate is an integration that feeds important requests into a dedicated channel. InboxVudu generally does a good job of picking out things people are asking me to do, although the occasional false positive creeps in. “I wanted to gather some images before responding to you,” was one I spotted – there was nothing for me to do in that email, but it tripped the language analysis algorithms up as the language was very similar to that of a request. If you’re the kind of person who has given up on reaching inbox zero every day, there’s definitely value here. I’m quite disciplined with my email and try to at least read everything that comes in each day. If my inbox was as messy as some I’ve seen though, this app would be an important addition to my productivity arsenal.